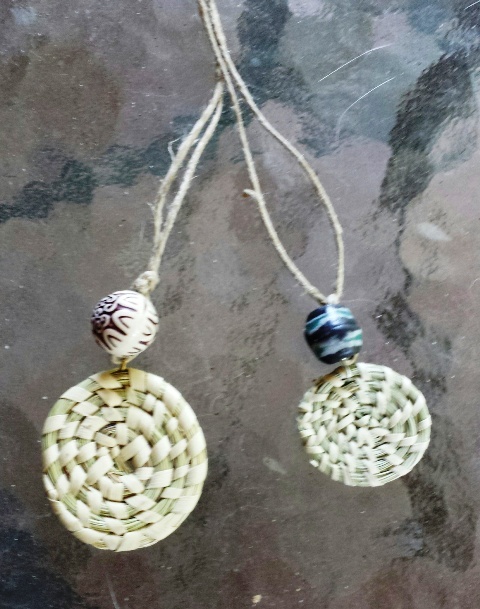 Beautiful pendant made of sweetgrass and accented with a ceramic bead. 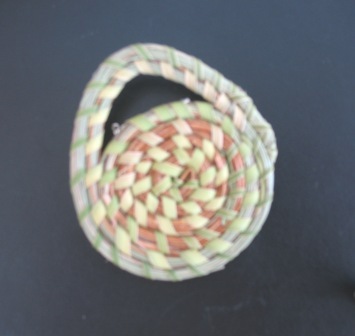 Cute little sweetgrass basket pin. 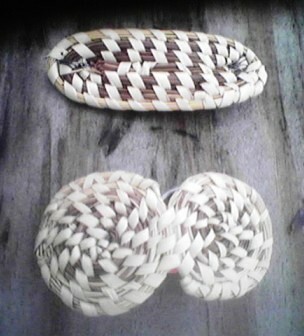 2" in diameter.